It’s still only February and already 2015 is shaping up to be a pretty exciting year. Not that our cruise lines are shouting too much about it. Britannia will be arriving in Southampton next month, ready to be christened by a godmother so important that P&O still can’t announce her name.Anthem of the Seas will be here a few weeks later, and there’s even less information coming out of Royal Caribbean. And yet Norwegian are already well advanced for the brief visit from their new vessel, Escape, in October. See what Captain Greybeard has to say about that on Page 66. 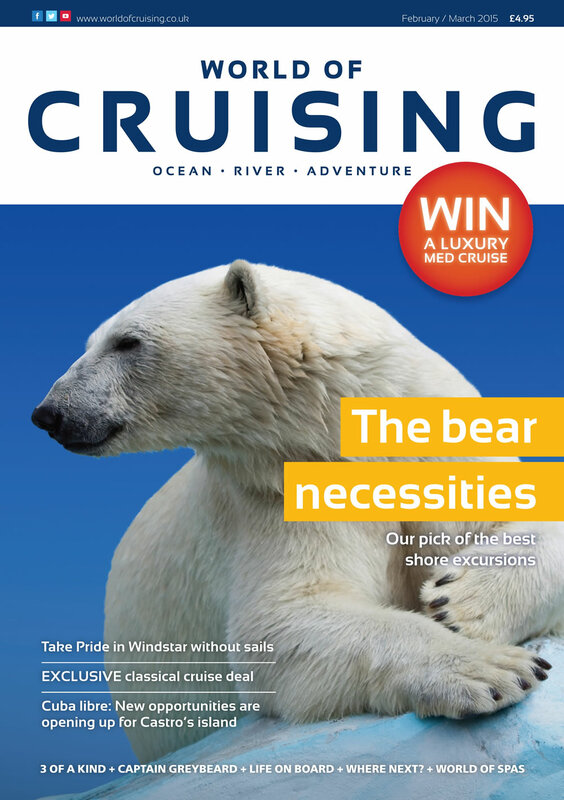 That’s not all… Our magazine portfolio is growing, with the addition of Cruise Trade News, serving travel agents, and Cruise Ports & Destinations – which does exactly what it says on the cover. Throughout the year, we’ll be bringing you news of the latest developments in the fasting-growing sector of the travel industry. No need to fasten your seatbelts – it’s going to be a smooth, smooth ride.